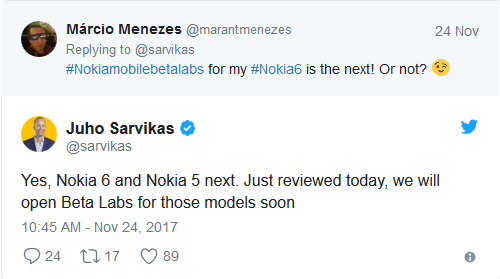 HMD Global seems to be fulfilling their promise of keeping Nokia phones among the updated part of Android smartphones. The company started the Oreo beta program for their flagship Nokia 8 on October, and less than a month since it, the company is rolling out the stable release. Now according to HMD Global’s Chief Product Officer, Juho Sarvikas, the company will start the beta program for two of their mid-range smartphones, Nokia 6 and Nokia 5. The confirmation has been made through the HMD CPO’s official Twitter account, after a question made by a user. However, there is no information of when the updates will roll out for both handsets. 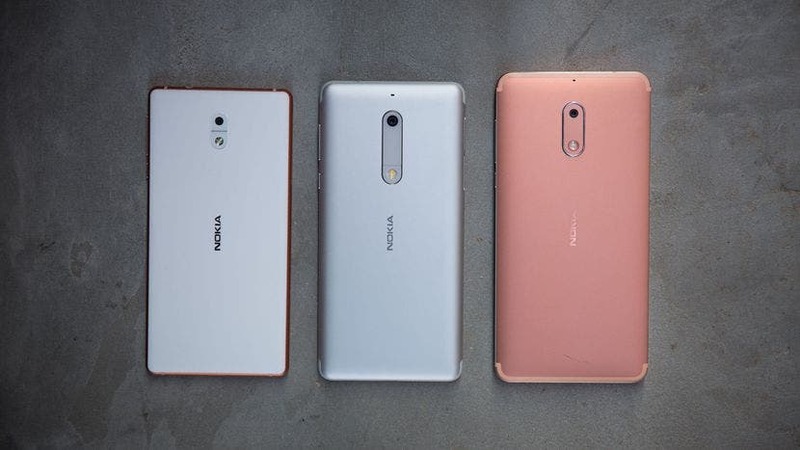 The Nokia 6 mark Nokia’s return since its demise in Windows Phone era, the device did pretty outselling inside China and got a good overall performance in other countries. The Nokia 5 was released a few time later at MWC 2017. The device brought good specs for the mid range segment such as Snapdragon 430 and 3GB of RAM. HMD has chosen to keep a Vanilla Android route on its smartphones instead of bloating the software. In consequence, the company is able to update their phones in a faster way than other companies with heavy skinned UIs. As mentioned before, there’s no stipulated date for the beta program start, but we expect the Android Oreo entry in Nokia mid-range class early in January 2018.